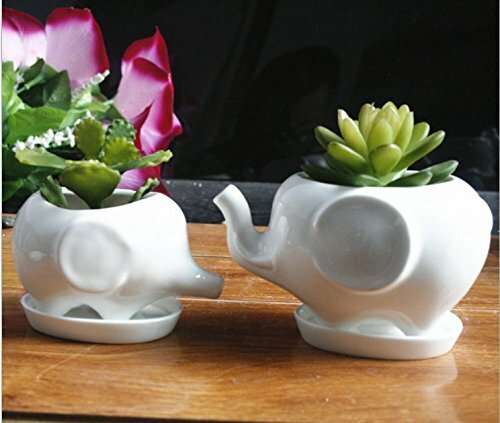 Animals Ceramic Flower pot 2 Styles Elephant Succulent Planter Cactus Succulent Plants Flower Cute White Pot (2 Elephants) by Xing-Rui at Tulips Orchids. MPN: unknown. Hurry! Limited time offer. Offer valid only while supplies last. Price is for 2 Elephants.Green plants are not included. If you have any questions about this product by Xing-Rui, contact us by completing and submitting the form below. If you are looking for a specif part number, please include it with your message.